I recently helped a friend respond to a state board complaint. I was both aggravated and bewildered by the process. 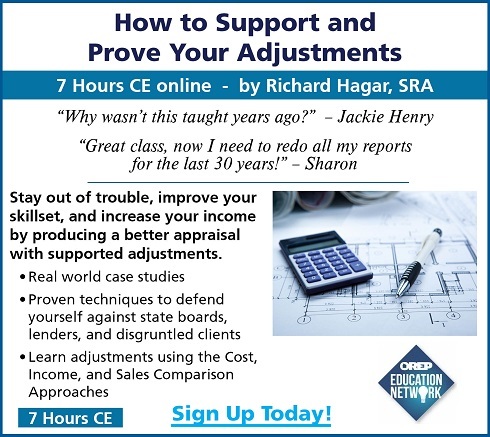 It bothered me that a good, honest appraiser who had produced a good, credible appraisal had to take time, effort and money to defend himself against a complaint because an agent was angry about the value. When all was said and done, it made me wonder whether the complaint process is an effective way to maintain appraisal standards or simply a means for disgruntled unintended users to get revenge. The complaint system against appraisers has serious flaws that hurt good, honest appraisers. Conversely, it tends to ignore the deficient appraisers for whom it was intended. While the administrative disciplinary process is similar to the U.S. Justice System, it is separate and distinct, in ways that hurt appraisers. Worst of all, there is no evidence it serves the intended goal of USPAP—to promote and maintain the public trust. One significant misconception about complaints is that if you “push” a value or appraise something “too high” you are more likely to get into trouble. There’s a good deal of evidence that the opposite is true. The vast majority of complaints aren’t filed by lenders or GSEs concerned about an aggressive valuation. Most complaints are in fact filed by unintended users—buyers, sellers and their agents. I surveyed 48 state agencies and of the 10 that provided data, every one said a majority of the complaints are filed by unintended users. Complaints by unintended users ranged from a low of 60.7% in Mississippi to a high of 89.9% in Arkansas. The data provided doesn’t track the reason for the complaint but why else would individuals who have never heard of USPAP file a complaint? Hint—it’s not because the report lacked a sufficient sales history of the comparables. I’ve assisted a handful of appraisers with complaint responses and each of those complaints was based on value. Administrators with several of the states surveyed agreed that value is the motive behind most complaints. In theory, disciplinary actions have nothing to do with value. As long as you derive and report that value in compliance with USPAP, you should have nothing to worry about. In practice, however, complaints are related to value and the likelihood of a disciplinary action is much greater when a complaint is filed. So contrary to common belief, the evidence suggests that you are more likely to face disciplinary action by appraising “too low” rather than “too high.” That’s bad, considering the appraisal industry is supposed to be a check against under-secured loans and over-inflated real estate values. This unintended but inherent bias in the complaint process is likely to cause some appraisers to shy away from accepting assignments where the contract price appears questionable. But if disciplinary actions aren’t based on value, then it shouldn’t matter if that is the reason a complaint is filed, right? Wrong! Here’s where it’s important to understand the similarities and differences between the administrative complaint process and the U.S. Justice System. Most of us have seen enough crime and cop movies and/or TV to believe we understand how the court system works but the administrative system is different. Both systems share the same principles regarding deterrence, reformation and removal. Fines and time served (in the form of continuing education, mentoring or suspension for appraisers) are penalties intended to deter bad behavior. Rehabilitation or education is typically used in cases of negligence or ignorance to correct bad behavior. The harshest punishments are license suspension or revocation and are typically reserved for the most severe offenders who intentionally and knowingly violate USPAP. Think of suspension as serving time in prison and revocation as a life sentence. In spite of these similarities, there are three significant differences between the systems, and none are good for appraisers. Like lawyers, accountants and other professionals licensed to promote public trust, appraisers agree to forfeit some rights. In civil or criminal courts we have the Fifth Amendment right against self-incrimination but in the administrative process we have agreed to submit for review our appraisal, workfile and all other relevant evidence that may be incriminating. In addition, investigators in the administrative process are required to look beyond the complaint for wrongdoing. The Sixth Amendment right “to be informed of the nature and cause of the accusation” prior to trial doesn’t work the same in the disciplinary process. How complaints are received and investigated varies to some extent state to state, but all states are required to follow the guidelines set forth by the Appraisal Subcommittee. Title XI Policy Statement 7 Section B2 says “States must analyze each complaint to determine whether additional violations, especially those relating to USPAP, should be added to the complaint.” So a complaint filed by an angry agent or homeowner because of a “low” value will be subject to a mandatory USPAP review of the entire report and work file. Think of your neighbor calling the police because your music is too loud. Policy statement 7 would require the police to search your house for any other possible violations and the administrative rules would require you to unlock all the doors and hand them all your records. Another inherent disadvantage for appraisers is that our response to a complaint comes before we know what, if any, violations are found. After receiving a complaint notification, appraisers are required to respond. This response is part of the investigative file, so the investigation cannot start without offering this opportunity to respond to the appraiser. In addition to addressing the charges within the complaint, the response is an opportunity for the appraiser to show investigators that any potential USPAP non-compliance is not worthy of disciplinary action. After the investigation, appraisers are allowed the opportunity to defend themselves against the specific violations found but this comes after non-compliance has been identified. At this point, the defense revolves more around disciplinary action rather than compliance. The cart is in front of the horse. An appraiser’s initial defense against violations comes before knowing what violations are found. As such, it is possible that appraisers might point out deficiencies that might have gone unnoticed. It’s much easier (and cheaper) to mount a defense when you know the specific charges, and since the initial response is part of that defense, wouldn’t it make sense to submit it after the state has identified specific wrong doing? It’s important to point out that appraisers, like any licensed professional are not forfeiting any constitutional rights. Administrative reviews, investigations and disciplinary actions surrounding licensing are different. In order to maintain public trust, licensed professionals like appraisers, lawyers, accountants and others agree to agency oversight, which often requires mandatory submission of records. Should professionals become involved in the civil or criminal justice system, all our civil rights still apply. It is only in the administration of our profession where we face these disadvantages. It’s also important to point out that state agencies are not out to get you. During the course of helping my friend and researching this article, I spoke to nearly a dozen workers from state agencies. They were all friendly and tried to help where they could. They are just doing their jobs like you and I, but within a system that is flawed. One head enforcement officer noted that he sees the role of his department as going after bank robbers, not jaywalkers. They are looking for the bad actors that diminish the public trust. Agency employees are like reviewers, they are looking at appraisals rather than appraisers. Similarly, my complaints are with the system, not those who administer it. I’m not against maintaining appraisal standards or even using disciplinary actions to that end, but I’m not aware of evidence that the complaint process promotes or maintains the public trust. Two years ago I asked the Appraisal Standards Board and the Appraisal Foundation President if they had surveyed public trust. They had not. This is the organization founded to maintain and promote public trust and it has not attempted to measure the level of that trust. So how do we know what effect disciplinary actions have on public trust? Without a survey or some measurement, we don’t know the effect the complaint process or any other USPAP related policy has on the public. In Texas, over the past three years, 25% to 33% of complaints resulted in disciplinary action. That means that 67% to 75% of those angry or concerned enough to file a complaint received a letter explaining that their complaint had no merit or jurisdiction. It makes sense that the majority of complaints filed are by unintended users. There are more of them than there are intended users. So both statistically and practically they are the largest segment of the public but they are the least informed with regard to proper appraisal practice. This raises a good question: are we targeting the promotion of public trust to the right segment of the public? It’s free and easy to file a complaint against an appraiser but costly and difficult to defend. Complaining is as easy and as common as breathing. We all do it. I’m complaining about complaints right now! Solutions, on the other hand, are tougher to come up with. I don’t have all the answers but I do have a few suggestions for how to improve the system. Get rid of Policy Statement 7. Address only the complaint’s specific allegations. If the allegations have no merit let the complainant know but leave the rest of the appraisal alone. Put the cart behind the horse. Change the administrative rules so that the appraiser may respond to the complaint after specific USPAP violations have been found by separating the submission of the work file and the response. Give appraisers the chance to defend against specific violations rather than having to guess at what might be found. Dismiss complaints filed due to “low” values only. In spite of the fact that that is what drives complaints (and perhaps mistrust), it is antithetical to the purpose of appraisers and encourages bad behavior. Measure and promote public trust. The Appraisal Foundation or state agencies should measure public trust surrounding the policies of the Appraiser Standards and Qualifications Boards through surveys or other metrics. Increased promotional efforts would be worthwhile as well. Perhaps a link within the appraisal to an informational video produced by the Foundation about what an appraisal is and who appraisers are? Post the video described above (or a text version) on the complaint application page for each state agency so that complainants have some basic understanding of appraisal practice prior to filing a complaint. Not many appraisers face disciplinary action but those who do appreciate what a harrowing experience it can be. Over each of the past three years in Texas, less than 1% of appraisers have been disciplined but three to four times as many have had complaints filed against them. A proper complaint response and defense take time and usually involve counsel from a lawyer and/or consultant. After receiving a complaint, appraisers are supposed to notify their E&O carrier and will have to disclose the complaint on applications to new clients. In addition to the time and money spent responding, there is the ever-present worry over the outcome, which can impact an appraiser’s ability to earn a living. The complaint process will never be entirely fair. There will always be complaints filed by angry unintended users based on nothing else but a “low” value. That said, the process has plenty of room for improvement and can at least be made fairer. Steve Kahane is a certified residential appraiser in Cypress, TX. After moving from Chicago to Texas 16 years ago, he transitioned from commercial to residential appraising and has valued properties ranging from $1 to over $100 million. He is a member of the National Association of Appraisers, board member for the Association of Texas Appraisers and was the recipient of ATA’s 2015 Outstanding Service Award for the Houston region. Great article, and so much truth that seriously needs to be addressed. The vast majority of appraisers / colleagues of mine that have been disciplined are excellent and diligent appraiser’s where the complaint was driven by motive of anger, revenge or ignorance by an incompetent appraiser. The state boards do have and should use reasonable care and action in most of these situations. Sadly, many members of state boards are appraiser’s themselves who have an issue with ‘power’ or ego, and no one wins in the situation. As a profession, we face as much or more scrutiny as most other licensed professionals and it seems to be of our own making. Is it to justify the importance of our license / and/or the difficulty to not only obtain professional license but successfully maintain it, discipline free?? Great article! Good article Steve. I’ve heard the same and you are correct when you say appraisers are turning away work if the contracted sale price is “out of this world” to avoid the repercussions of that “low” value. This is sad. Appraiser’s are being bullied from several directions. I appreciate your suggestions for change; so my question is, How do we work at getting those changes made? Excellent info!!! 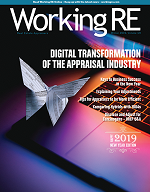 This handling of bogus complaints, and a dozen other reasons are why a larger percentage of appraisers are getting out! Retiring, early, and new trainees are and have changed there mind about becoming an appraiser. Bad AMC’s, low fees, bad RE agents, recent state employment requirements, etc…. it’s a wonder why anyone would go into this field. State Boards should accept nothing from an “Unintended User”. Appraisals get passed around all the time. Where would it stop? garage sale sooner or later. Thanks for posting on the topic of state disciplinary proceedings. This is an issue our leadership must address. It is critical and urgent! I fully agree with you that the appraisal regulatory system is conceptually flawed. There is no-one, absolutely no-one, holding the ASB or TAF accountable for requiring the states to employ bludgeons on appraisers. The system is rooted in the gotcha mentality of a bully and frequently targets appraisers who have done an adequate job of appraising with criticism that amounts to nothing more than fly specking followed by fines and hours of education without credit. By any stretch of the imagination this is not incentive to improve – it is punishment. If the state’s job in regulating appraisers is to protect the taxpayer, appraiser discipline is failure. Let me say, my state thankfully has apprehended and expelled some ethics-impaired appraisers, but the kudos are tempered because most of the appraisers caught up in the system are at the most victims of deficient education and low pay. More things our leadership must address. The fish is rotting from the head. I believed from the day I signed up that an appraiser’s job was to maintain independence and render a supported, unbiased opinion based on fact. Then it dawned on me that the messenger of truth has a target on his back. As you observe, a large percentage of intended users perceive real property mortgage appraisers as “deal makers” or “deal breakers” depending on the market value they report. Few understand that appraisers are prohibited from advocacy. Perhaps it is just inconvenient to understand that. Here we are in 2019 in the shadow of a severe recession and another rising with most of our residential mortgage appraisers expressing market value as the contract price or a little more. Appraisers, like puppies trained with a rolled-up newspaper, know low-value will trigger a painful and expensive lesson. And our leadership, with their heads in the sand, refuse to recognize what is going on. I too have noticed that state reviewers and investigators are sincerely trying to a good job and can’t in a quota system that is designed to be unfair to the accused. You are correct that administrative discipline of appraisers has little to do with justice, but what a stellar opportunity for improvement. C’mon leaders, here is your chance to help us and do something for the industry. And Steve, keep up the good work. Your critical thought will make a positive difference. Great article Stephen. Fortunately, Texas is among the better Boards (now); though there is a well documented past history of a certain former TALCB member abusing the system to ‘get rid’ of his competition. You highlighted almost all of the valid concerns and inequities, but on a national basis, the only real solution is to have federal agencies enforcing what stems from federal law (USPAP). TAF is part of the problem not the solution. Having 50 states and seven territories develop their own interpretations of how to “enforce USPAP” has resulted in egregious misinterpretation across the nation. Partly because we have two private corporations interceding between federal law and implementation at the state level. (1) The Appraisal Foundation; & (2) AARO a private corporation comprised of state regulatory officials routinely engaged in end runs around the laws their own states have passed. California has proven itself to be corrupt (in court) as in the committing perjury kind of corruption and filing known false charges; Oregon has demonstrated incompetence and cited 11 other states as sharing their incompetence. Maryland hires an incompetent investigator from over 100 miles away that either send trainees out, OR simply rubber stamp the conclusions they are directed to find and when the data reported is PROVEN to be blatantly false they continue to persecute once they ‘open a case’. Minnesota is also an abuser; relying on inept investigative reviewers using such logic as “Everybody knows you adjust for that” as support for alleged USPAP violation (they lost that case). New Jersy, New York, NC, VA, Have demonstrated fair treatment. Also much more timely than others. Fixing the broken system will require federal intercession. Only then can there be any uniform interpretation or enforcement. Agree with your information – good job. Also – why should any “unintended user” be able to file a complaint? About 7 years ago Flag____filed a complaint with BREA in CA on my report of a PUD property. They also blacklisted me for six years. The property was a PUD as known by most intelligent appraisers the owner owns the site, and with this property there were no recent similar sales on the same street, yet there were a couple Condominiums which of course they do not own the site – common interest and the two types of properties have different values. They look similar in design and age, but the ownership rights making a notable difference in the appraised value. I had to leave the immediate street and used similar PUD properties to value my PUD. The reviewer at FLAG—- stated I had left the area to inflate the value and sent my appraisal with a complaint to the state appraisal board. 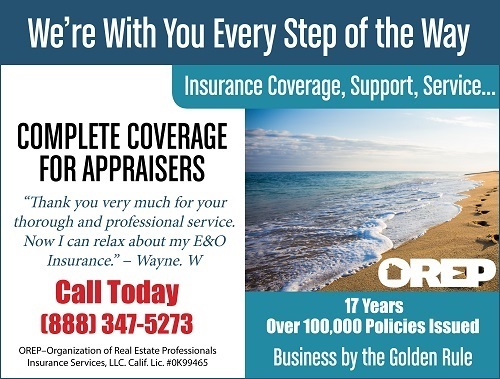 I was contacted and sent my workfile to the Office of Real Estate Appraisers and they reviewed my file and called me back weeks later and stated my procedures were noted as standard appraisal practice and I did not violet anything. The only thing was they want site valuation and I said the appraisal noted there were no sales of vacant land within miles. Anyways scared me, for no known reason. The reviewer and lender had no idea on the difference with condominiums and PUD in California ?? Sad to blacklist me and one of my clients wanted me to be approved with them, which caused my to lose that client. Fantastic letter! i am on the appeals board of NCPAC. Yes, there is much to do on re-organizing the complaint process. It appears that we are paid to represent an independent and impartial opinion of value to be the check and balance of the most important decision that a family can make. We can not be subject to the harassment from the general public for doing our job to protect our investors. You said it very well. Thank you for a well written voice for all residential appraisers. Thanks Steve for spot lighting a flaw in our industry where we as appraisers are expected to be perfect. No typos or forgetting anything in a report. I do not know any industry where mistakes of any kind can get fines, education etc. This may be the best article I’ve read from your magazine ever. You should choose other, relevant appraisal topics to write about in future editions. Yes, you complained about complaints, but you gave some solutions too. When reading your article I couldn’t help but think of how the state administrators reminded me of gun control advocates. Their laws affect and punish the law-abiding members and do nothing to deter the real law breakers. Thanks for the great article. I hope your suggestions become reality. ANYONE can file a complaint in any state. Worse than that. In Texas, if an agent or an owner deliberately lie in their complaint TALCB says they have no jurisdiction to punish them. If another appraiser (say a Texas reviewer) were to do the same thing, then TALCB would have jurisdiction over them. Of course, if a desk reviewer in Arizona or Minnesota reviews the Texas appraisers work in order to pressure an increase in value, TALCB has zero jurisdiction over them either. State enforcement of USPA simply does not work. COMPLAINTS ARE A CROCK OF CRAPOLA. THEY (THE STATE) TAKE THE ONES THEY WANT AND RAILROAD ANYONE WHO MESSES WITH THEM. THEY ARE A TOTAL ABUSE OF REGULATORY AUTHORITY. I PISSED OFF LINER THE LAST LOSER AT THE STATE OF TEXAS AND HE CAME AT ME WITH FULL FORCE. HE ABUSED HIS AUTHORITY BECAUSE I MADE A FOOL OF HIM. TOTAL POS. THEY KNOW ITS A STACKED DECK. SCREW THEM HIRE A LAWYER AND GO DIRECTLY TO COURT AND FIGHT WITH A LEGITIMATE JURY OF REAL PEOPLE NOT THESE BUREAUCRATS WHO HAVE NO COMPUNCTION BUT TO CASTIGATE APPRAISERS AND REALTORS IN THEIR KANGAROO COURT, WITH THEIR STACKED DECK. OVER 28 MONTHS NOW ON A LEGITIMATE COMPLAINT WITH A PROVEN CRIMINAL AND CROOKED AMC AND THEY REFUSE TO ACT BECAUSE HE IS A DEMOCRAT AND DADDY WAS A LAWYER- F THE STATE OF TEXAS AND ALL OF THE TALCB AND TREC. THERE IS A TWO TIERED JUSTICE SYSTEM IN PLACE. LIKE THAT AMC THAT JUST BURNED ALL OF THOSE APPRAISERS- NO ON WILL PROTECT US AND THEY RUN PTOTECTION FOR THE CRIMINALS THEY LIKE KINDA LIKE THE CHURCH PROTECTING PEDOPHILES. DONT TAKE ANY NONSENSE FROM THEM THEY ARE JUST BULLIES. WAITING ON THEIR PENSIONS. THIS INDUSTRY IS PATHETIC!!!!! THESE AGENCIES ARE FULL OF LOWER END LAWYERS WHO COULD NOT GET EMPLOYED ANYWHERE ELSE AND THEIR ONLY JOB IS TO HOLD UP A DESK. FIGHT THEM TOOTH AND NAIL. 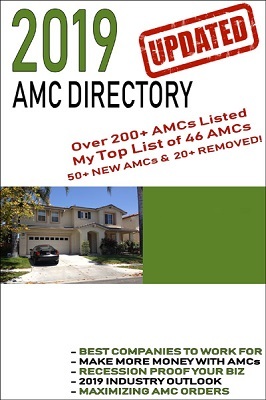 THE AMC ABOVE HAS HAD EXTENSIONS AFTER EXTENSIONS, THEY EVEN LICENSED HIM TO EVEN HAVE A TITLE COMPANY AND HES AN APPRAISER WITH AN AMC WHO BURNED ME FOR THOUSANDS AFTER HE WON HIS LAWSUIT AGAINST A MORTGAGE CO WITH MY INVOICES IN FEDERAL COURT. HES UNDER THE SAME SUPPOSED CODE AND RULES WE ARE FORCED TO FOLLOW AND WHICH ARE USED AGAINST US, BUT IT ONLY APPLIES TO WHOMEVER THEY FEEL LIKE ABUSING OR WHO IS BLOWING THEM!!!!! DOUBT IF THIS WILL BE POSTED, THIS RAG IS TOO BUSY TRYING TO SELL YOU SOMETHING. nice job Steve. I can say, without hesitation, that as a mentor for the TALCB, I’ve seen disciplinary actions that don’t appear to be in line with the transgression as well. That said, I honestly do think that the TALCB is trying to move away from the perception of ‘beat first and ask questions later’ to one of truly trying to be proactive with the prescriptions. IOW – in the past, the discipline was mostly in the form of fines, suspensions, or revocations – none of which actually serve to rehabilitate the offender. Now they’ve added mentorship into the mix in an effort to address (what they believe to be) the core issue(s) – namely that of poor, or sloppy, appraisal analysis and reporting. They still have a long way to go, but I think they’re headed in the right direction at least. BTW – agree with all your points on how to clean up the system.